The GUI part of Vuurmuur’s traffic shaping is done. That means it’s in a usable state. It’s probably rough around the edges, but anyone is invited to give it a try. Below two screens. The per rule shaping settings. 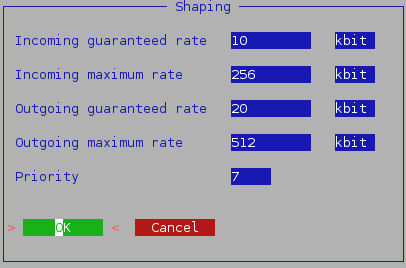 The per interface settings for the shaping. This entry was posted in Traffic Shaping, Vuurmuur and tagged gui, Traffic Shaping, Vuurmuur, vuurmuur-conf by inliniac. Bookmark the permalink.